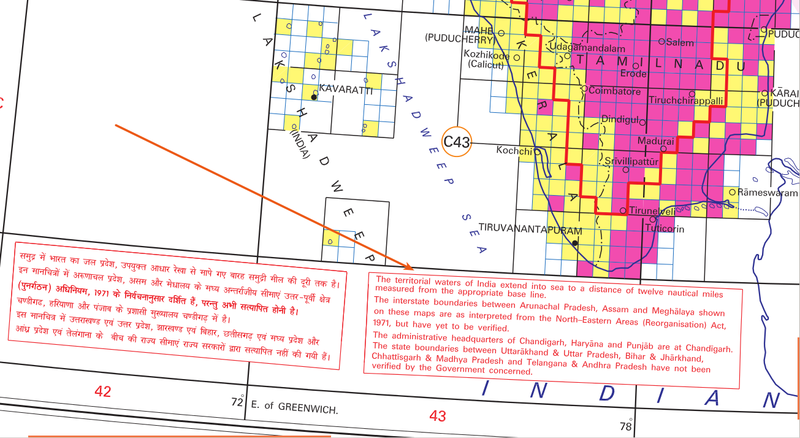 The modern mapping of India started with the establishment of Survey Of India (SOI) in 1767 by British East India Company. It was established to help consolidate the subcontinent territories of the Company. SOI also has the credit of conducting The Great Trigonometry Survey led Col. William Lambton a British surveyor.It took five decades to complete the survey starting on 1802. Surveyor Radhanath Sikdar measured Mount Everest height in 1852 to be 29002 feet. Now it is 29037ft. This is the beginning of systematic mapping in India. After Independence SOI was given the mission of advancement of geospatial data in India. Survey of India comes under the Department of Science and Technology and as its main responsibility is to provide maps at affordable cost in the near real-time environment. Survey of India dedicates itself to the advancement of theory, practice, collection and applications of geospatial data, and promotes an active exchange of information, ideas, and technological innovations amongst the data producers and users who will get access to such data of highest possible resolution at an affordable cost in the near real-time environment. Open Series Maps (OSM) – These are prepared on 1:250,000; 1:50,000 and 1:25,000 scales for the use of general public/civilians for supporting development activities in the country. – SOI SoI does two of the most important series of maps. Defense Series Maps (DSM) for defense purpose and Open Series Maps (OSM) for civilian purpose. Its Open Series Maps are of interest to us. Educational map series of few states. To be precise seven states4. 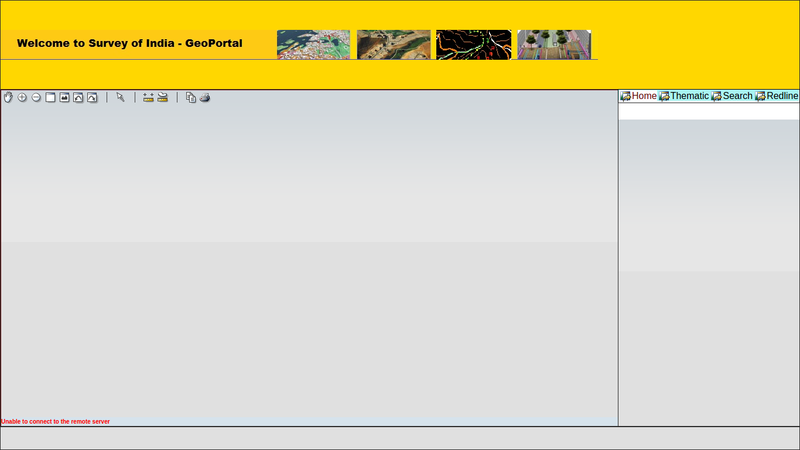 A web map portal. Which I couldn’t access. I have tried multiple times. District planning maps. Not available for all districts5. 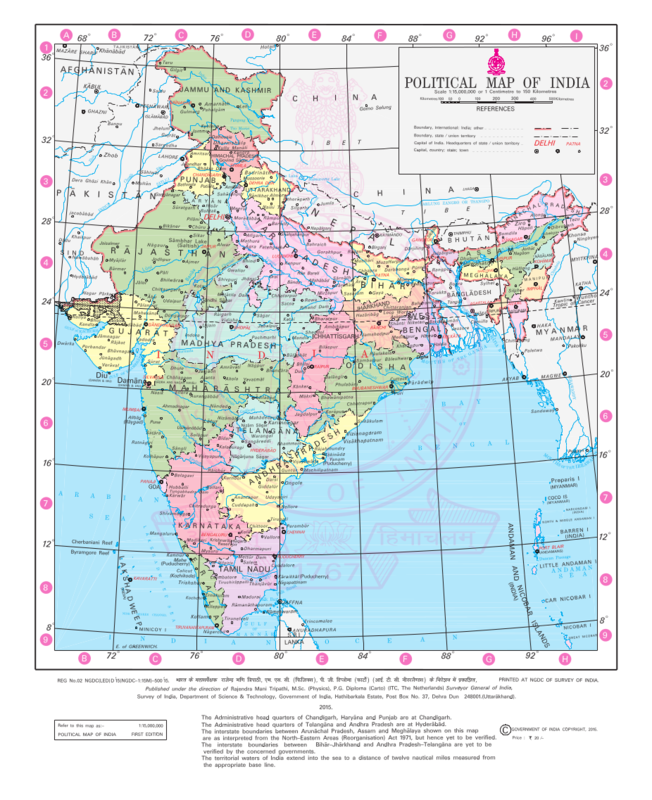 Maps available for free download on SoI website are in the form of PDFs or JPGs. They are of no use for any GIS/Analysis. Some of the Open Series Map Data is available as WMS service through data.gov.in portal. But the service seems to be down all the time. Also I could find this service only for the state of Andhra Pradesh. Licensing terms are unclear. I know Open Series Map is meant for civilian use but what are the terms? Unless they are clear I can’t create mashups with other datasets. We don’t know how often they get updated. Some of them were last updated in 2011. Other than these freely downloadable maps, SoI also has some digital open map series available for licensing. They have varying kind of licensing and come with their own specific conditions. Cost of acquiring these maps could be exorbitant. For example the product “Parliamentary & Assembely Constituency Map (Large States)” with code “OVLSF/-/71” which is a single user vector map costs 43,750/- per map. Let’s say you are a research student. If you are researching about elections across India. Even if you acquire a type of license, questions remain especially in regards to a digital age where mapping data is the basis of so many of our innovations. There is too much ambiguity: Can you publish maps in your paper report and publish your visualization online? How many licenses to buy? What happens when I submit the research content and research data to paper publishing authority? Even though the terms seem easy. It’s cumbersome, confusing and costly for a regular civilian. The defined goal Open Series Maps is to “provide maps for the use of general public/civilians for supporting development activities in the country”. The mission of SOI is “promotes an active exchange of information, ideas, and technological innovations amongst the data producers and users who will get access to such data of highest possible resolution at an affordable cost in the near real-time environment”. Open Series Maps seems to have failed us in both. It’s not open, it’s not affordable and it’s not real time 6. Given that it’s sponsored by tax money, shouldn’t it be available for free of cost and under Open Database License? Shouldn’t it be easier to access and also in the new economy can’t the SOI find ways to leverage the increased mapping economy to make their maps more dynamic and useful to a wider populous? Communication technology has changed the global economy and has created a heightened requirement for accurate geospatial data to deliver information at a blink of an eye. The Survey of India has not been able to adapt, and even ISRO with its BHUVAN geospatial data portal has not been able to keep up. While agencies like NASA and ESA have moved toward openness, India’s space agency has moved toward building internal capacity which is a good first step but not building out their capacity for map creation through openness, and SOI has continued to stay stuck in the past. There is no open geospatial data of Indian origin that the trillion dollar startup economy Digital India boasts can use to improve services, create industries, and offer competition to the large international players. It’s time for the DST to move ahead and open up the geospatial data and have a more accessible data policy. Dear SoI, It’s never late. Please release Open Series Maps for free under ODbl. 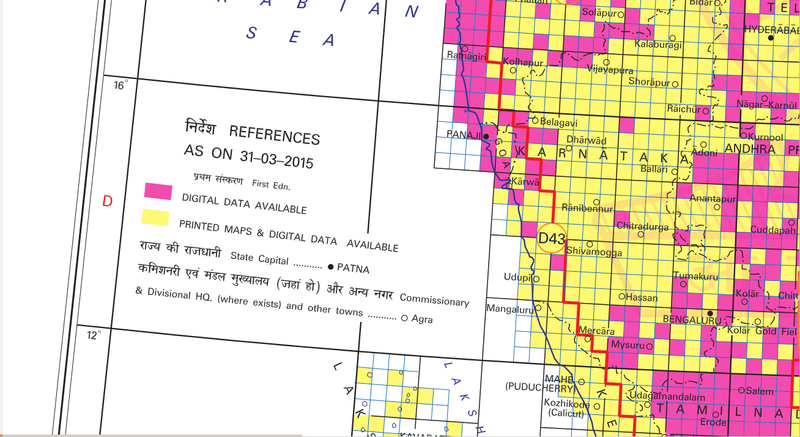 Government of India’s Open Data Portal seems like the best place to distribute Open Series Maps if you decide to do. This process will surely promote an active exchange of information, ideas, and technological innovations amongst the data producers and users. Please see our response to the National Geospatial Policy 2016. In the absence of open and affordable efforts by public institutions, The open GIS community has been trying to meet the requirements of larger community through projects like OpenStreetMap, DataMeet Maps, OpenPostBox etc. The draft “Geospatial Information Regulation Bill” by Ministry of Home Affairs, could kill this community effort. The draft act is so overarching and has huge negative implications on map creators that these communities will die if the bill gets through. Hence I request you to not only urge the SoI to open their maps but also don’t let them take away maps they never gave us. 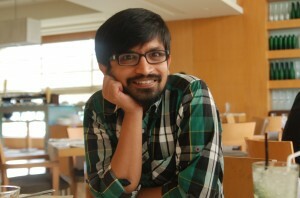 Written by Thejesh GN with inputs and edits by Nisha Thompson. This article is also published on DataMeet Blog. Is OSM evolving to match up to Google maps?